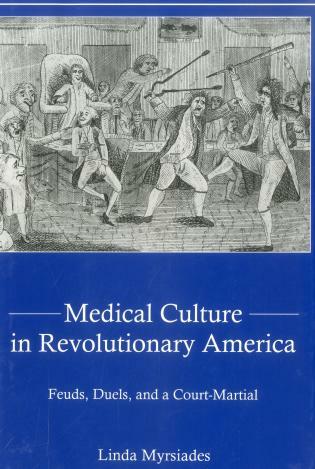 Though scores of texts, films and stories have been told about the American Revolution from the perspectives of our Founding Fathers and their followers, comparatively little is known about those colonists who resisted the revolutionary movement, and tried desperately to preserve their nation’s ties to the British Empire. Choosing Sides: Loyalists in Revolutionary America shows us that America’s original colonies were not nearly as united behind the concept of forming free, independent states as our society’s collective memory would have us believe. There were, in fact, numerous colonists, slaves, and Native Americans who counted themselves among the Loyalists: those who never wanted to sever ties with the English crown and who viewed revolution as an unnatural and unlawful mistake. Too often overlooked, these men and women made valid and valuable arguments against the formation of the United States—both weighing the costs of revolution and the perilousness of existing without divine rule of a monarch— arguments that even hundreds of years into America’s existence are echoed and championed both within and beyond our borders. Colonists from commoners to clergymen had nuanced and complex reasons for wanting to remain under British control, and an awareness of these reasons and their origins paints a more historically accurate portrait of the American populous around the time of our country’s founding. 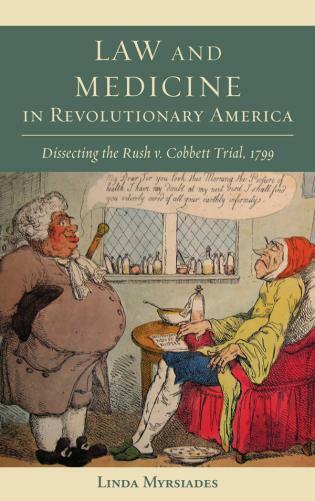 This volume not only showcases Dr. Chopra’s comprehensive analysis of Loyalism and its arguments, but includes letters, legislation and even poems written by Loyalists during and after the Revolutionary War. 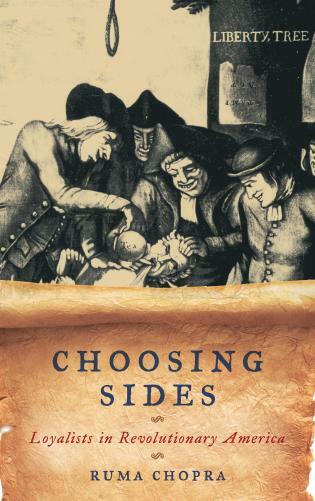 Choosing Sides lays a detailed foundation of facts for its readers and provides them entry points to the debate surrounding the genesis of the United States. It is both a primary source and a touchstone for original interpretations and discussions. Dr. Ruma Chopra is an associate professor of history at San Jose State University. This insightful work chronicles the lives of colonists loyal to Great Britain during the American Revolution. The text consists of a 63-page introduction and a main body of approximately 80 primary sources arranged topically in ten chapters. 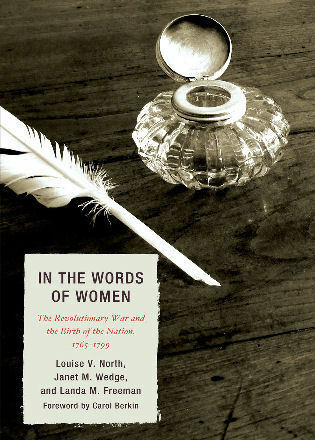 In the impressive introduction with generous endnotes, historian Chopra situates loyalists across a palette of categories, including gender, race, and religion. She also indicates how practical reasons, such as one's proximity to military force, could trump ideology when choosing sides. The introduction could stand alone as a scholarly work; however, the subsequent section of well-organized primary sources complements it. This reviewer has only two minor negative criticisms. First, although Chopra cites each primary source, many citations are to a published version, not to the original manuscript. Second, in spite of the author's care in arguing that denominational affiliation was some indicator of one's loyalty, the Roman Catholic minority is largely absent from her calculus. Overall, this is a nuanced survey on the often-overlooked topic of loyalty to Britain, and a valuable addition to any research library that collects titles on Revolutionary America. Summing Up: Recommended. Lower-division undergraduates through researchers/faculty. Ruma Chopra has produced a volume that delves into the motivations and mechanics of those Americans who fought under the British flag in a way that is useful for professional historians and laymen alike. . . . Using excerpts from primary source documents, journals, diaries, and a host of other materials, Ruma Chopra has done much to illuminate the world of the other Americans who fought in the Revolutionary War. 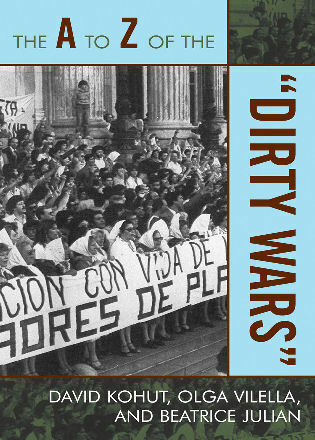 Some lost everything, dispossessed of their land, homes, and holdings by their victorious newly independent neighbors. Many of those loyalists sailed away from their former homes aboard British warships enroute to Nova Scotia and other English enclaves. Some, like Wilmington, N.C.’s John Burgwin, were forgiven their British loyalties and were allowed to resume their lives among their American neighbors. Either way, the loyalist story is one that is too often overshadowed by that of the Revolution’s winners. Chopra’s work helps correct that imbalance and makes a valuable addition to the story of how America came to be. Ruma Chopra presents a useful collection of primary sources penned by loyalists, accompanied by brief introductions to each source, with a substantial introduction to loyalism. . . .As the title suggests, Chopra presents loyalism as an active choice made amid war and revolutionary struggle. This is a helpful perspective. . . .Reading loyalists' own words may be the best antidote for loyalist stereotypes that have persisted in American popular culture long after they have been dismissed by North American historians. This collection provides a convenient sampling of many useful loyalist documents, and therefore an opportunity to understand both the role of ideas and events, principle and contingency in the choosing of sides. Chopra’s anthology casts a wide net, expanding our understanding of the many “loyalist minds” and loyalist experiences that characterized those men and women who chose Empire over independence. The documents she has selected remind us that loyalists came from all classes, races, and ethnicities. They included people who resided in Canada, the Caribbean, and the area that became the United States. They made their choices based on ideology as well as on pragmatic, on-the-ground realities. Students will enjoy listening to the voices from the past, sharing in the hopes and fears of those who could not bring themselves to sever their relationships with an Empire they loved. 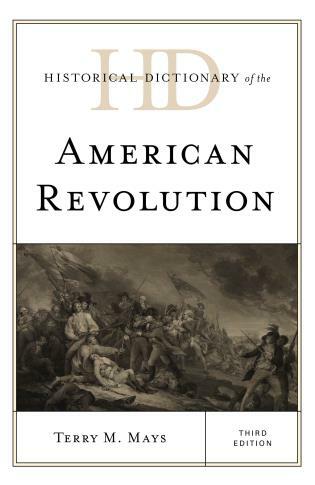 Ruma Chopra’s lively introduction and accompanying documents present Loyalism in all its complexity, adding to the case that the American Revolution was genuinely and in some ways tragically revolutionary. It was a time to choose, and she shows loyalists of all sorts, elite and plebeian, white, black, and native, male and female, making their choices and living with the consequences. Like their patriot foes, her loyalists reveal the many faces of revolutionary America. Chopra makes advanced loyalist scholarship, including her own, understandable for students and general readers.